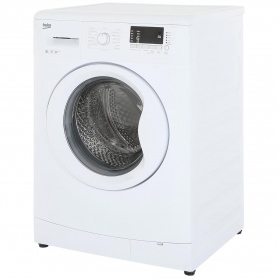 The Beko WMC1282W is a great performing washing machine that will save you money while leaving your laundry fresh and clean. 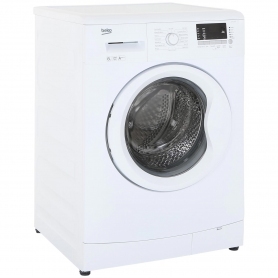 This Beko washing machine has been designed with modern water saving technology. 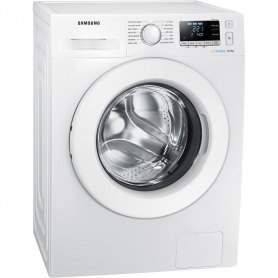 It automatically alters the water levels according to the volume of the load and the type of fabric it contains, reducing the water used in every wash. The soft internal patterns on the Aquawave drum are nonabrasive but still create enough friction to aid the cleaning process. Your clothes are protected yet super clean. 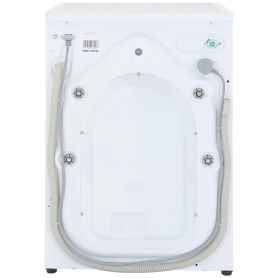 With a large 8 kg capacity and 34 cm porthole, you have plenty of room to accommodate larger loads that contain bulkier items such as bedding or towels. An interactive LED display shows you the current status of your wash cycle, while the time remaining indicator shows how long it has left to go. The time delay option is a great feature for busy households. Just load up the machine, set the timer for when you want the cycle to start and get on with your day. It’ll be finished exactly when you need it to. 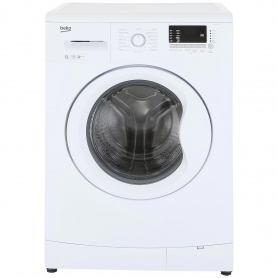 This Beko appliance has 15 wash programmes, each designed to meet your washing needs. The woollens programme cares for your knitted items so that they don’t shrink, while the hand wash option is gentle on your delicate items. 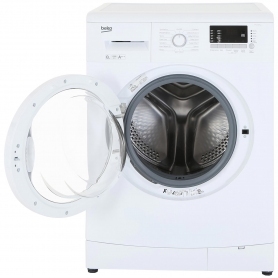 There is also an xpress super short cycle which washes 2 kg of laundry in just 14 minutes. This is handy when you need an outfit cleaned in a hurry. Settings for spin speed and temperature can even be altered to suit the type of load. Awarded an impressive A+++ energy efficiency rating, the WMC1282W is kind to the environment and will help lower your electricity bills. 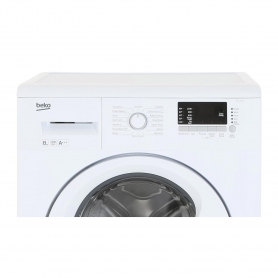 The Beko WMC1282W is energy efficient and has great cleaning capabilities. Buy yours today and be free of laundry day dramas.